This lightweight, low port grazing bit is a nice transition for younger horses or an all-around bit for horse of all ages. 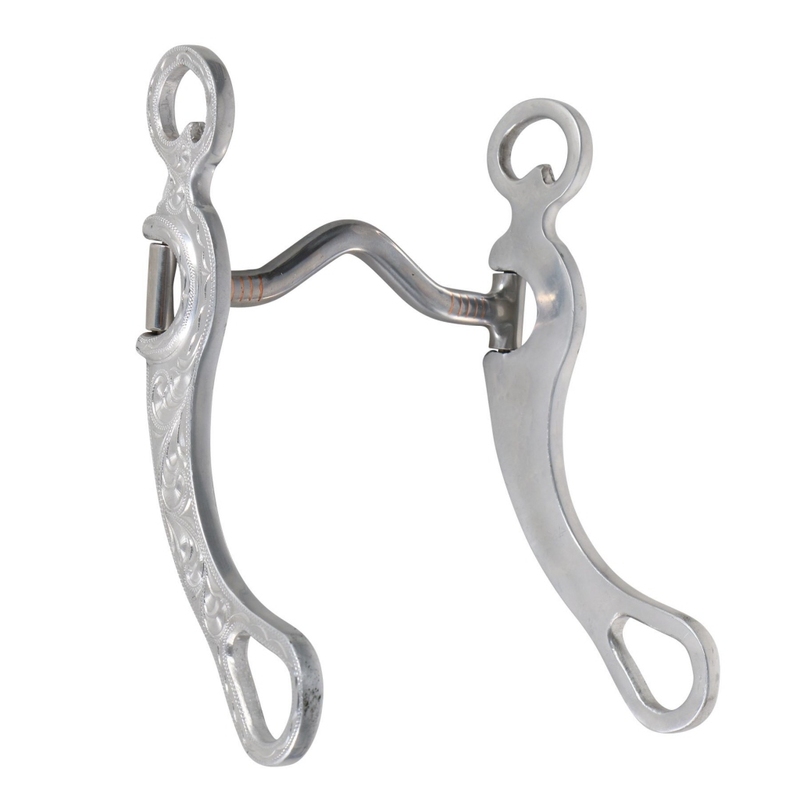 It has engraved aluminum swept back loose cheeks that pre-signal the horse when cues are coming. 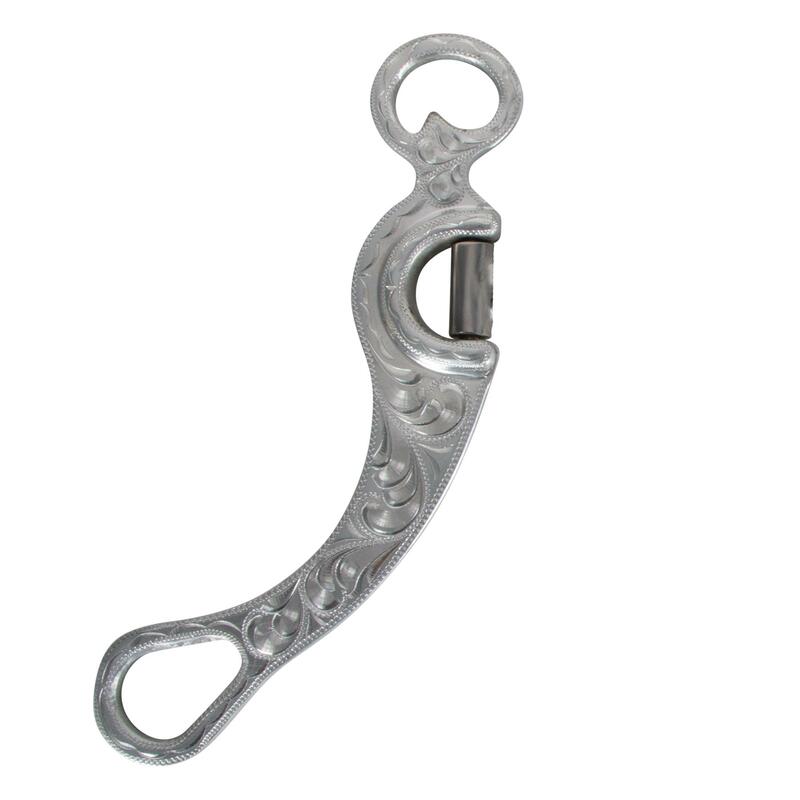 The sweet iron mouth piece has copper inlay to promote salivation and will rust over time, which produces an even sweeter taste. This bit applies gentle tongue relief and moderate palate pressure.